When I began this blog a couple of years ago, my intention was to always give a true and honest representation of my journey, no matter what that may be, through the good and the bad, the ups and the downs, the beautiful and the damn right ugly, of which there have been many of these moments. 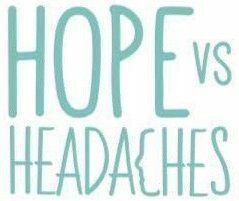 So with this in mind, I felt I needed to share with you the genuine truth about what happened when I finally broke free from the ‘chronic migraine curse’ and began to try and live a so-called ‘normal life’ again. Surely that was going to be the easy part in all of this, right? Wrong! It was never going to be that simple, was it? Now, I want to get one thing straight before I continue, and that is how UNBELIEVABLY GRATEFUL I am to be five months migraine free! It honestly feels incredible and I feel so very blessed every day for how far I have come. Not having to live in fear anymore of an impending migraine truly gives you a new lease of life and makes you realise that anything is possible. However, what I want to share with you is that although I may be migraine free, life can still be a struggle sometimes. I may have just ended one journey but a new one has just begun and one that suddenly feels more daunting than the first, for some confusing reason. And unfortunately, these three seem to love to work in tandem together. Anxiety causes neck and shoulder tension which therefore results in a tension headache which can then lead to feelings of anxiety. So you can see the pickle I can get myself in here. Everyday I still have to work hard to strive to live a life free from pain but I do know without a shadow of a doubt that I WILL get there, it’s just a matter of time. After all, if there is anything that I have learnt from my chronic migraine journey it’s that your belief is everything! So, as much as I would like to put my feet up, order myself a mouth-watering Chinese takeaway and celebrate my success by catching up on all those glasses of red wine I have missed out on over the past four years, it is just not possible. I still have to practice self-care daily in order to keep progressing and move forward in my recovery. This routine consists of my daily Dr Joe Dispenza meditations, stretches for my tight muscles, deep belly breathing practice, good clean nutrition, occasional massage and working with a physiotherapist to get me back into exercise again. Despite this, I wouldn’t swap it for the world. The good days have become more and more and the bad less and less and I am so grateful for where I am in my journey today. Ofcourse I still get those days when I just want to bury myself in my duvet and have a little cry, but those days are far outweighed by the stunningly beautiful and completely magical days when I actually feel like a ‘normal’ person again with no migraine or tension headache! Yes, this actually happens more often than not now! In this new world, you face different challenges though. How to integrate into society but still manage your boundaries, how to fit back into a ‘normal’ routine again yet at the still time ensuring that you make time for your essential self-care musts and managing the guilt of letting friends and family down when you know you are not quite ready to take on all of the world’s challenges just yet. I’ll be honest, it’s a balance and a difficult one at that but I am getting there. That said, I can’t explain to you in words how wonderful it feels to now be able to start rebuilding my social life again, being able to just pop out for a meal with my husband whenever we feel like it, to make exciting travel plans once again, to find a purpose and a career that I am so passionate about, but most of all, to have my freedom back. It’s truly magical and worth all the blood, sweat and tears it took me to get to this day.